In honor of Valentine’s Day, to share my love with you I thought I would bring you not one, but TWO lip swatch videos. Earlier this week I shared my three favorite pink lipsticks with you. Today I am sharing my favorite REDS. Also, be sure to open the video in Youtube because there’s a pretty awesome giveaway happening to further share my love with you. You may notice that these are all warm, orange reds. That’s all I own right now. It’s just what I prefer on my skin tone. If you are looking for a cooler, true red shade I suggest looking at 100% Pure Poppy and RMS Beauty Rebound. Tangerine orange-red with a mostly matte finish. Deep orange-brown-red with a creamy finish. It’s Valentine’s Day this week and to share my love with you I thought I would bring you not one, but TWO lip swatch videos. Today I am sharing my favorite PINK nontoxic, clean beauty lipsticks with you. Later this week I will be sharing my favorite REDS. Also, be sure to open the video in Youtube because there’s a pretty awesome giveaway happening to further share my love with you. Neutral midtone pink with a slight coral pop, creamy feel, matte finish. Light cool toned, nearly baby pink. Slippery feel with a nearly matte finish. Nearly neon magenta pink, matte feel, matte finish. Welcome to my 2018 gift guide! Most of these items are products that I have used throughout the year(s) and have truly loved. I know that I will be gifting some of them myself (so if you’re a family member, maybe stop here and forget what you’ve seen!) and I would also love to receive these as a gift. I truly love gift giving and matching the perfect item to each person on my list. Happy gifting! You can also see my previous year’s gift guides here and here for more inspiration. I still totally stand by those gift ideas. True To Form Book - This book is amazing for anyone with chronic muscular skeletal pain or for anyone interested in body mechanics or enhancing their workouts through body mechanics. Leahlani Mermaid Mask - A classic, gorgeous mask for all skin types with mouthwatering ingredients. Welch Candle Co. Beeswax Candle - CLEAN candles made locally here in Wisconsin. Epicurian Cutting Board- A clean, high quality cutting board. Tons of sizes. Fourth & Heart Vanilla Ghee - Because, yum. Flourish Honey Blossom Body Cream- My favorite luxurious feeling body cream. Comes in a mini size, too! Osmia Artisan Soaps - These soaps are pricey, but they will last you a solid six months. They’re also gorgeous. I love the Oh So Soap and Detox Soap. Barre3 Online Membership - My favorite online workouts! Super effective and fun. RMS Wild With Desire Mini Lipstick Set - My favorite lipsticks of 2018 in a gift set! Kari Gran Lip Whip - My favorite heavy duty lip balm. It comes in a variety of colors, too. Berkey Water Filter - For the person who is ready for an effective water filter. Mountain Rose Herbs Essential Oils - Even those new to EO’s would enjoy learning how to clean or diffuse the basic oils like lemon, peppermint and lavender. Mountain Rose Herbs has the highest quality oils for the most affordable prices, in my opinion. Alter Eco Chocolate Bars- Does this even need an explanation? Chocolate! Pure Layered Fruit Bars - My husband recently picked these up at Costco and I am obsessed. They are the perfect size and so delicious. EcoLips Mongo Kiss Lip Balm - My favorite lip balm to throw in your purse or backpack. Boiron Homeopathy - For those who are sort of interested in homeopathy, but don’t know where to start. I’d probably combine this with the Homeopathy For Mommies E-Book or my own explanation of how to use my favorite remedies. My favorite beginner remedies are Belladonna, Aconite, Ferrum Phos, Nux Vomica and Arnica in a 30C potency. Young Living Thieves Hand Sanitizer - The BEST hand sanitizer. It never dries out my hands and I feel like since it incorporates thieves, it’s really working. *Some of the links are affiliate links. You are in no way obligated to use them or purchase through them, but I thank you for your support of Laura’s Natural Life if you choose to use them. AHHHHHH! The biggest shopping weekend of the year is nearly upon us. I don’t know about you, but I tend to buy more than I should every.single.year. So with that in mind. Stop scrolling! Make a list of what items you are actually planning to buy before proceeding. I will be updating this list as sales become public, so keep checking back. 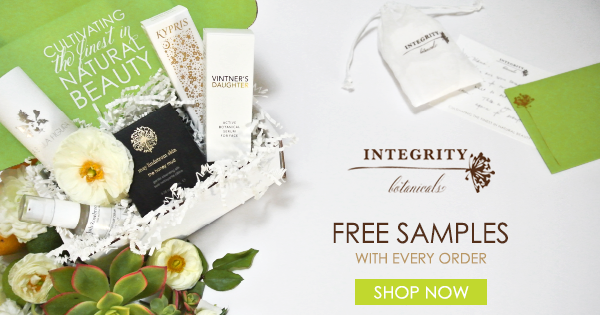 Get Buy 1, Get 1 50% off all full size Root products + Free Gifts when you spend $75, $125 & $250! Black Friday 6pm - Saturday, Nov. 24 at 11:59pm! Must haves: any of the matte pressed eyeshadows. I wear the shade Duke almost everyday. *Some of the links are affiliate links. You definitely have no obligation to use them or buy through them, but if you do I thank you so much for your support of Laura’s Natural Life! I’m finally sharing the recipe to my Instagram “famous” chocolate fat bombs! These delicious morsels have been my BFF since I changed up my diet about five months ago. They are low carb, high fat, no refined sugar balls of amazingness. Oh, did I mention they take hardly any time? Mix ingredients together. Spoon onto a cookie sheet lined with parchment paper. Freeze or refrigerate for 15 or more minutes. Transfer to a container of your choice. Freeze or refrigerate. I usually get 54 fat bombs using a small spoon. If you get roughly 50 in your batch, the nutrition facts are 38 cals, 1.2g of net carbs, 1.1g of sugar, .1g of protein and 3.7g of fat. Enjoy! I hope you love these as much as I do. W3LL People is one of my favorite all natural, non-toxic beauty brands. They have such a great range of products, affordable price points AND here's the real kicker...they're sold in TARGET! (Cue stadium cheers). I'm sharing my five favorite products from W3LL PEOPLE in today's video. This is the first in my new Best Of series. What brand would you like me to feature next? To learn more about how I choose products based on the quality of ingredients, click here. Today I'm sharing 3 tips for buying non-toxic furniture. I am not physically able to have new furniture in my house due to chemical sensitivity so I've done a lot of trial and error to find safer, healthier, non-toxic furniture! This is also a tiny taste of my new course, Well-ing Your Dwelling. Click here to learn more about how to create your own, non-toxic home. Tip #1 - Avoid or sparingly buy pressed wood furniture. Opt for solid wood, glass or metal. Tip #2 - Avoid furniture treated with flame retardants. Tip #3 - Look to purchase a floor model when in the market for a new sofa or upholstered chair. I've always really enjoyed fitness, but getting back in a routine post baby was not easy. My fitness philosophy is maybe a little more "woo" than you're used to. I think that fitness should fuel and energize the body, as well as feel good in the body during and after. That said, I totally still want to see some results from my hard work, but I no longer believe that I need to be in pain post workout for it to have been successful. I usually workout five days a week, sometimes more, sometimes less. I am still doing my favorite barre3 workouts, but since adding in a little extra boost of cardio and weights I've finally broken though my postpartum body plateau. Super exciting! Everything I'm doing still feels really good to me and is super flexible for my lifestyle as I can fit most of it in during nap time. This video is sponsored by one of my favorite natural deodorant brands, Green Tidings. Green Tidings is Leaping Bunny Certified, manufacturered in the US and it works! You can also get free shipping on GreenTidings.com or from Amazon Prime. Today I'm sharing my go-to date night makeup look, featuring Au Natural Cosmetics. I love Au Natural products because they are actually local and they are totally clean and non-toxic. Are you looking for more info on transitioning to natural beauty products? Click here. Today I'm sharing four of my favorite, non-toxic hand sanitizers! All of them are triclosan free. While triclosan has been now banned in hand soaps, it's still allowed in hand sanitizers. You may not know that triclosan is actually a pesticide! You don't need a pesticide on your hands to sanitize them. All of my hand sanitizer favorites use essential oils. I wanted to give beautycounter a real try, so I ordered 8 products! Honestly, I went into the order very skeptical, but I was actually very impressed! Watch below to see my review and honest thoughts on the brand. 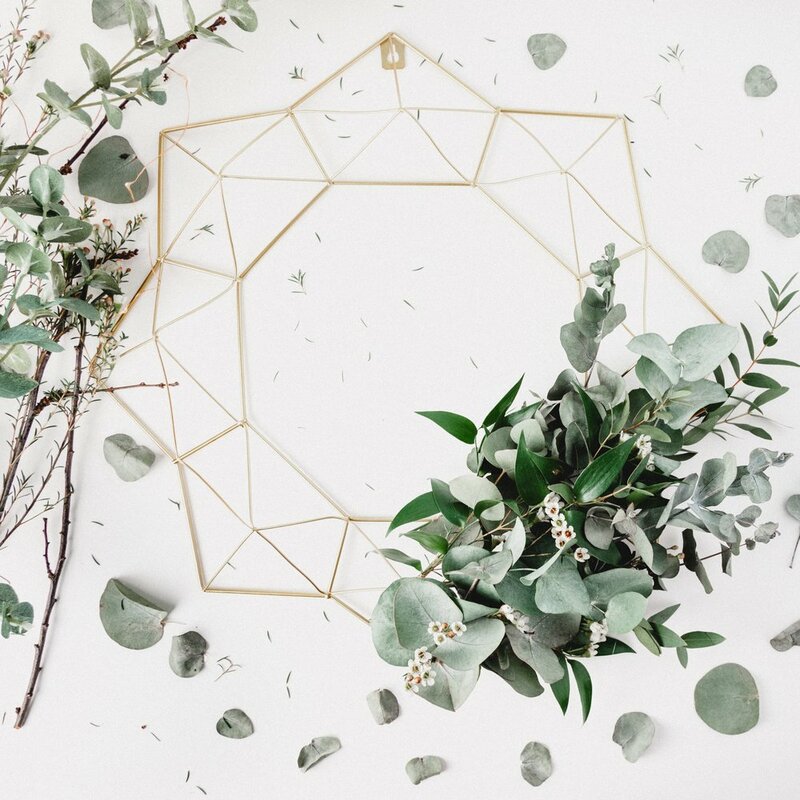 Are you ready to learn more about non-toxic beauty? Sign up for my free email course! Watch to find out what to look for and avoid, as well as non-toxic alternatives to scented candles. Today I am sharing my non-toxic nursery products and a tour of our nursery. 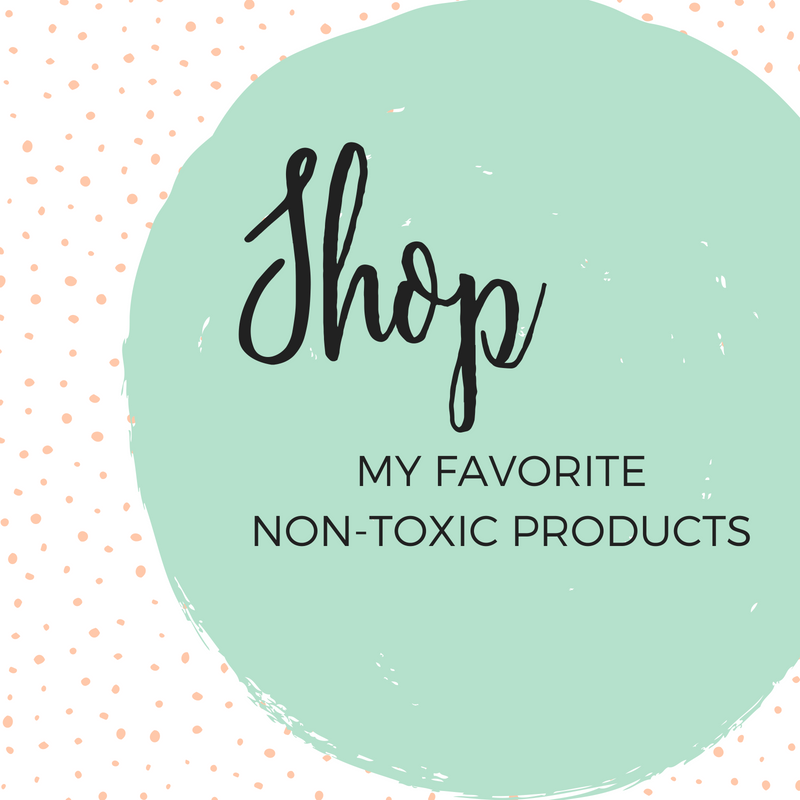 I have so many beautiful, non-toxic options to share with you all!